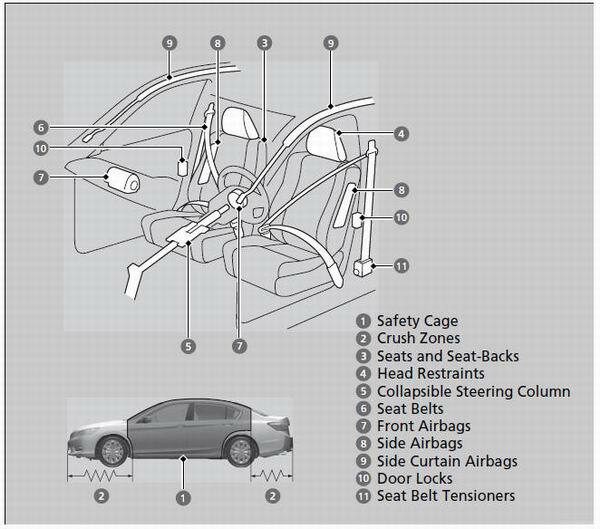 1Your Vehicle's Safety Features Your vehicle is equipped with many features that work together to help protect you and your passengers during a crash. • Protect children by using seat belts or child seats according to a child's age, height and weight. 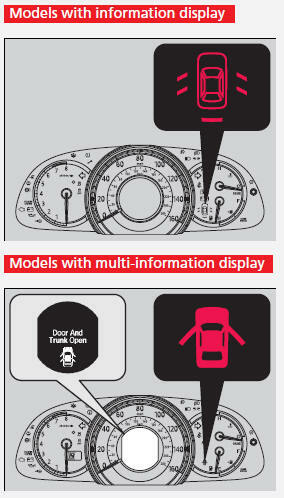 1Safety CheckList If the door and trunk open indicator is on, a door and/or the trunk is not completely closed. Close all doors and the trunk tightly until the indicator goes off.